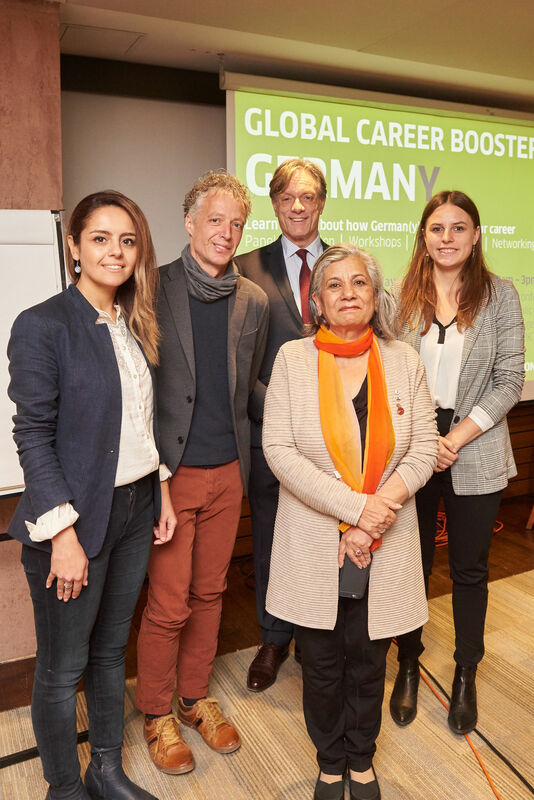 Over 80 high school and U of T students were on hand for an exciting and informative ‘Global Career Booster German(y)’ on Friday, October 26th, 2018. 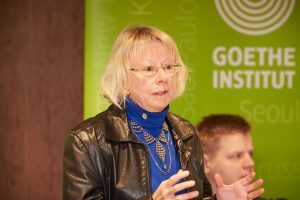 The Toronto Goethe-Institut and the Department of Germanic Languages and Literatures’ iPRAKTIKUM team co-organized the event, which took place for the first time at the U of T. The booster was an opportunity for students to hear from business professionals about the benefits of global fluency and the importance of learning languages. It was also an occasion to learn more about what the U of T, Goethe-Institut, and organizations like the German Academic Exchange Service (DAAD) have to offer. 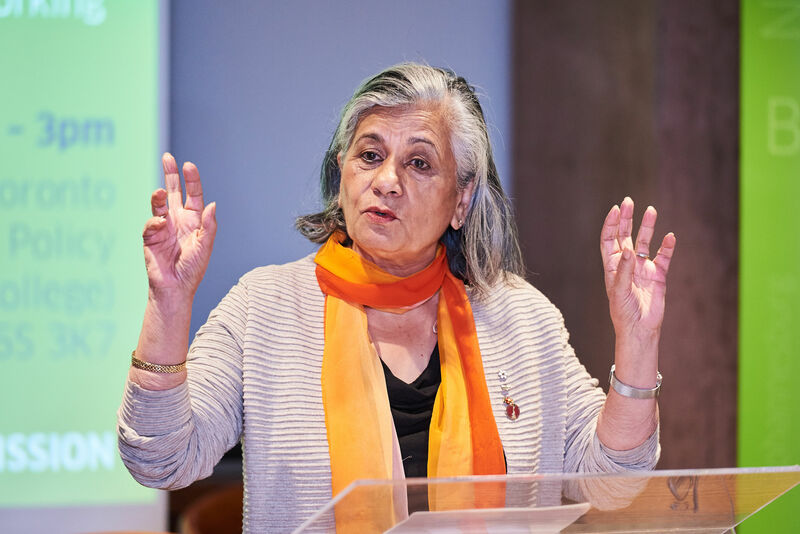 The day kicked off with an inspirational keynote by Senator Ratna Omidvar. 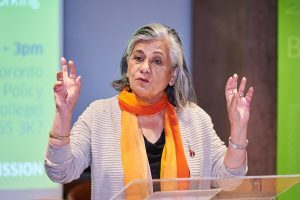 Senator Omidvar, who in 2014 received Germany’s highest honour for her contributions to German-Canadian relations, has been widely recognized for her advocacy work for equality and immigrants in Canada. Fun fact: She began her amazing professional journey as a teacher of German in India! The first panel, moderated by German Department alumni ambassador, Joan Andersen, was a conversation dedicated to the importance of global fluency featuring Vanessa Laufer, Director of International Relations and head of the U of T’s globalization efforts, Ontario Association of Teachers of German President Jimmy Steele, as well as two representatives from business, Sven Walker from Dale and Lessmann LLC and Narcis Tajvidi from BMW respectively. Echoing a theme that ran throughout the event, the panelists emphasized the value of learning a second (or third) language in terms of creating career opportunities and personal growth. A highlight of the afternoon panels was an open-format interview with Stephan Anders, North America Director of Meisterplan, a Germany-based software company that has recently set up shop in Toronto. Mr. Anders, who began his career as a German instructor before turning to technology, hosted last summer the first iPRAKTIKUM business internship in the GTA – an experience that landed U of T student Tianhao Wang a part-time job with company when the internship concluded. 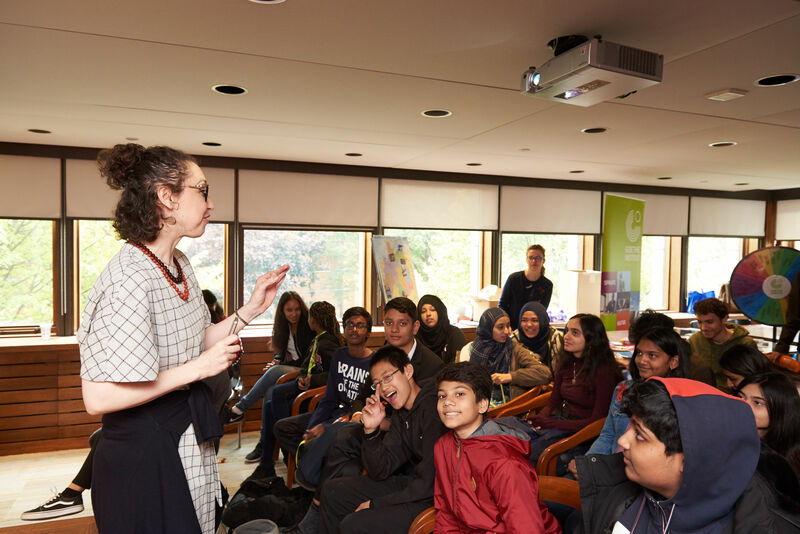 The day’s final session was a wonderful presentation by the University of Toronto Schools (UTS). 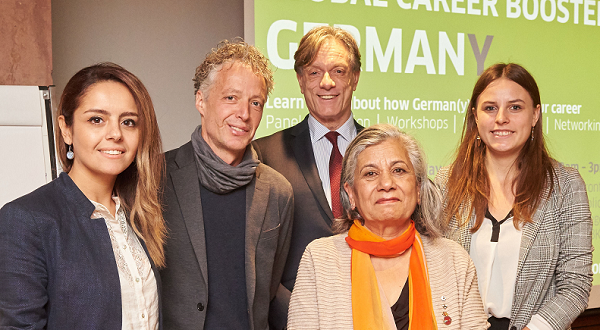 German teacher Nicola Townend and students Della Anderson and Anirudh Ram-Mohanram talked about their amazing experience with the Maximum City project, which involves an exchange with students in Frankfurt. Maximum City brings together schools, governments, and communities to learn and create sustainable, more livable cities. UTS’s Frankfurt visit last summer is documented in an engaging video available here. Many of the global booster participants hailed from TL Kennedy Secondary School in Mississauga. Carolyn Dahnert, a German teacher at the school, welcomed the event as a way to help launch her new German program. The investment in German at TL Kennedy is part of an International Business and Technology (IBT) stream aimed at preparing students for an increasingly complex, globalized world. German is playing a key role in launching the IBT. The response to the Global Career Booster German(y) has been very positive and the iPRAKTIKUM team looks forward to future collaborations with the Goethe-Institut and our other fantastic partners.